Horror Zorbing Ball Tragedy: Russian man got killed after climbing into inflatable zorbs and falling down mountain in the game. 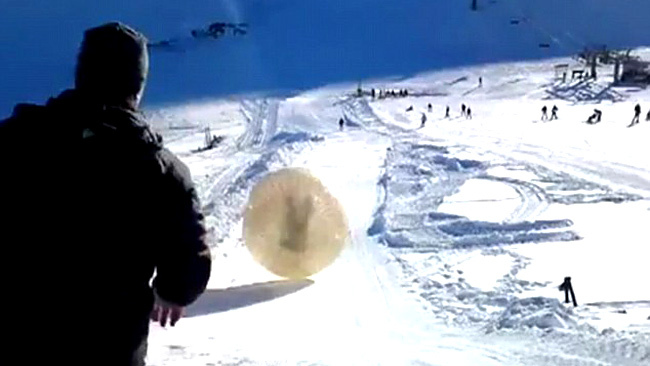 Father-of-two Denis Burakov was zorbing down a mountain at a ski resort at the North Caucasus mountain range in Russia when it veered off course. Unfortunately, when you have a new adventure sport like this come out, especially in developing countries, you tend to see a lot of people not following any form of regulation.